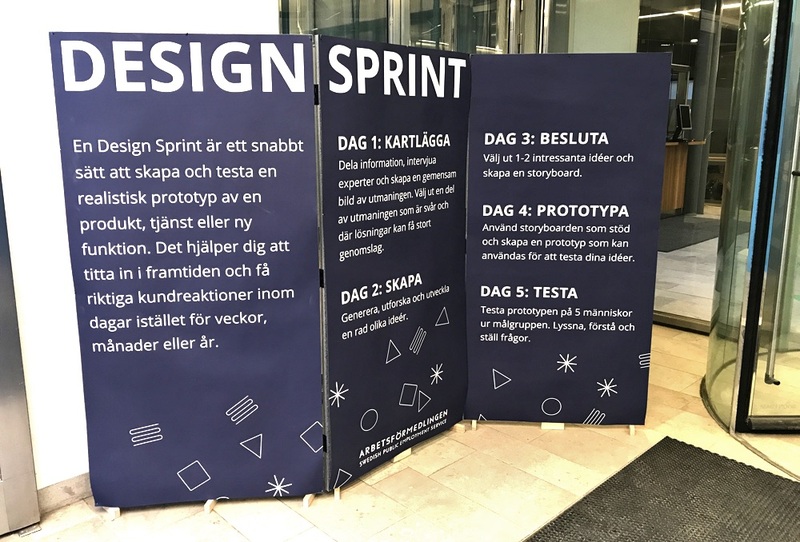 Not so long ago, we held a Daresay Design Sprint at Arbetsförmedlingen, the Swedish Employment Agency, to explore new customer-oriented processes. We’ve done a lot of Design Sprints with a lot of companies – most of which end in a prototype product or service – but this is the first time we’ve used a Sprint to develop a new process. And this got me thinking about just how flexible a Daresay Design Sprint is and what an organisation can get out of it. Most of us need variation at work. It’s what drives many of us to deliver our best results, but it can be difficult to find projects that really inspire people. Invite someone to participate in a Daresay Design Sprint and this will all change. Every member gets to be creative, takes decisions, learns something new, and is inspiring and inspired. Sometimes they even get to build stuff with a hammer and nails, which let’s be serious not many of us do nowadays at work. Although Design Sprints focus on one specific topic, the results and what happens afterwards can have a long-standing impact on an organisation. That’s why I think the whole company should be able to participate in some way or other. Whenever we do a Daresay Design Sprint we try to hold it in an organisation’s lobby or at least somewhere highly visible and accessible. It creates a lot of interest among staff and encourages them to find out more, follow what’s going on, and in some cases test what we accomplish. Some ideas are amazing. But how can you quickly find out if they are viable and will add value to your organisation, or if they should remain just that – ideas? A Daresay Design Sprint can provide the scope you need to explore an idea without investing too much valuable time and resources. Think of it as a micro project where you explore the current market situation, develop the idea, build a prototype and test it on your target audience. Just moving an idea through an early phase can takes months in a large organisation, with a Design Sprint you can decide whether to kill your darling or pursue an idea further within one week. Sometimes you just need to push the boundaries to see what happens. Everything might be going great for your product portfolio but to stay ahead you need to be able to answer certain questions. How far and how quickly can our offering grow? What’s around the corner and how can we get there? By taking an existing offering into a Daresay Design Sprint, you can explore such questions and come out with a prototype that leads to your next great solution. But if you don’t do it, you may never know – while your competitor might. Some projects are harder to sell at Board level than others. You might have an amazing project that you really believe in, but the Board want proof before investing in it. The quickest and cheapest way to do this is in a Design Sprint. I know because I’ve seen the support that projects have received following a Daresay Design Sprint. With a market overview and a customer-tested prototype, you have far greater tangible arguments to present than a long and expensively put together PowerPoint presentation – no matter who has collated the information. The greatest crime any organisation can commit today is standing still. Technology isn’t, customers aren’t, and neither is the market. You stand still at your peril. But moving forward can be scary, costly, ineffective or indeed damaging if it goes in the wrong direction. A Daresay Design Sprint lets you test the water one week at a time and provides you with key insights. You can even run several at the same time to explore different avenues to test different potential roadmaps scenarios. The point is, a Daresay Design Sprint allows you to move quickly, but without dragging the entire organisation with you. So if the direction proves to be the wrong way, you can rule that out and move on. OK so that’s the whys and the wherefores. But how do you make this happen? 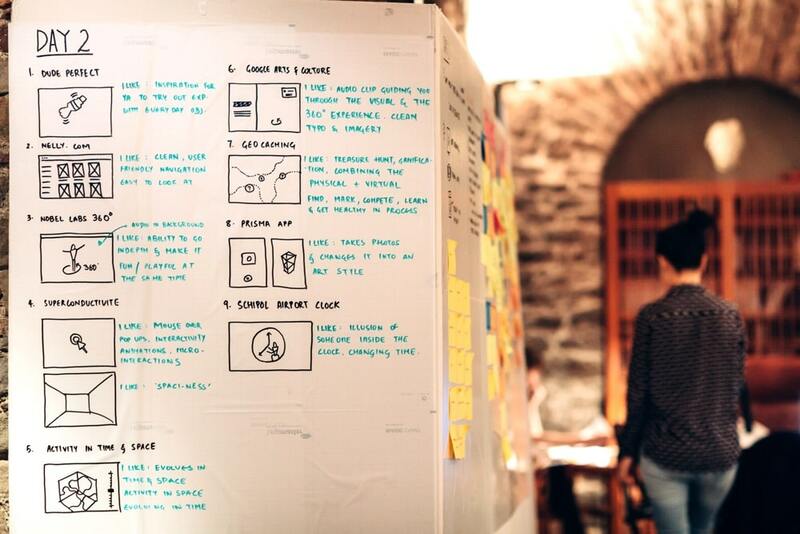 What is a Daresay Design Sprint and how can you partake in one? Well the best way to get started is to get in contact with us, and we’ll help you move forward. If you want some more background information before you get started, you read more on our take on a Design Sprint here.